Successfully Added Wall Powered Wireless Signal Repeater and WiFi Access Point with WPS to your Shopping Cart. 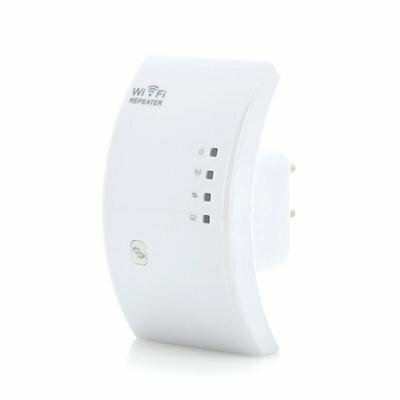 Easily extend the range of your wireless router with this Wall Powered Wireless Signal Repeater with one button touch WPS (Wi-Fi Protected Setup). Intended for large indoor areas, this Wireless Signal Repeater helps extend the wireless range of your network and eliminate dead spots. It's great for offering full wireless connectivity in large areas like airports, universities, restaurants, hotels, airports, convention centers, etc, as all you need is one wireless router and a few of these convenient devices. Installation is extremely easy too; The wall powered plug means once you set it up and get it running, you'll never need to worry about it again. This Wall Powered Wireless Signal Repeater also acts as an Access Point, which simply adds wireless connectivity to any existing wired network. Simply connect the device to an existing wired router via the included Ethernet cable and you can start sharing your network connectivity wireless with your mobile phone, tablet, IP camera, laptop, and other devices. 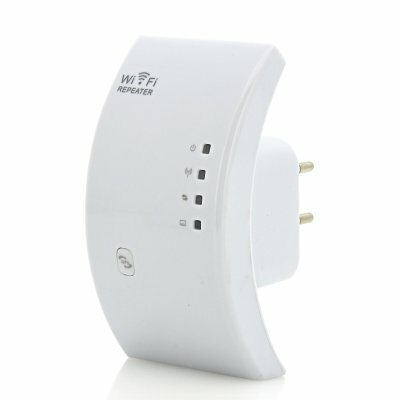 Additionally, coming with Wi-Fi Protected Setup (WPS), you will be getting ease of use one button push benifits such as automat configure of network name (SSID) and WPA security key for the router or access point, not needing to know a network's name and security keys or passphrases to use WPS when joining a wireless network, added secuirty as no one can guess your security keys or passphrase because they are randomly generated, and more! This Wall Powered Wireless Signal Repeater and WiFi Access Point is available in stock now. Order today and we'll ship it out to you tomorrow. Brought to you by the leader in wholesale electronics from China - Chinavasion. I had a tiny problem to set up the repeater, but it solved fast. Great signal, it covers all my house! Thank you chinavasion! I praise this wifi repeater, it totally solved my problem. Thanks Chinavasion I will definitely return for more.